Dendrobium tetragonum 'With rectangular bulbs' is a small to medium-sized orchid which grows in mountainous areas '500-1200 meters above sea level' in Australia in damp ravines, where it blooms with 1-5 strongly fragrant flowers '5 by 15 cm, yellow-green-red' on its stalk. 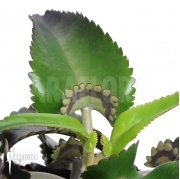 The plant likes cool to very warm temperature and is suitable for placement on elevation, as this allows it stalk to grow downwards as it does in nature. It is best not to remove its old flowers, as they may bloom again! 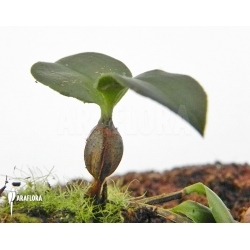 Besides botanical orchid plants Araflora also offers many extraordinary terrarium plants on the Araflora website.